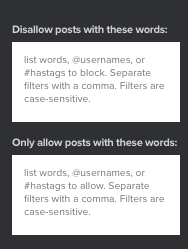 If you’re pulling in hashtag posts from a network like Instagram or Twitter, you probably want to prevent certain content from being displayed. 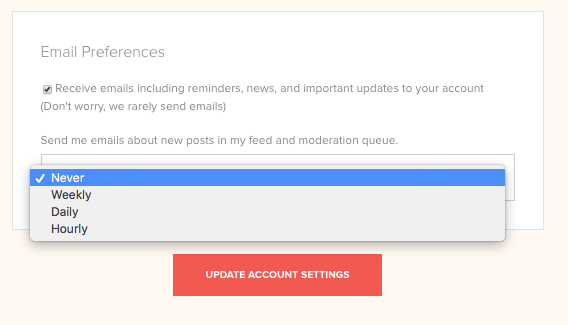 Juicer offers built-in moderation and filtering features that help you block unwanted posts, so only the content you approve gets through. 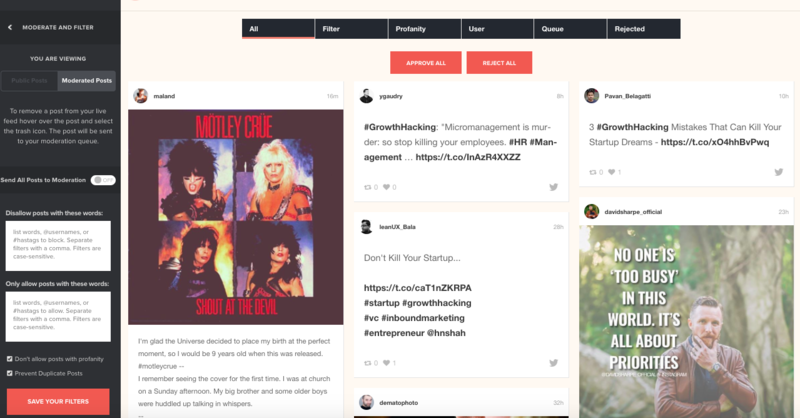 Juicer’s moderation features are easily accessible from the main dashboard of any feed. You can also set filters for individual sources, which is covered further down below. Remember that in Juicer’s terminology, feed = the embeddable social wall, and source = a single source of content that appears within the feed, such as a Facebook page, Twitter account, Instagram hashtag, etc. 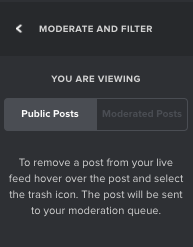 Next is the “Send All Posts to Moderation” button. This feature gives you the most control over what appears in your feed. You have entered your social media accounts as sources for your feed, but you only want to display posts containing a certain term or hashtag. You can enter the word(s) into this field. 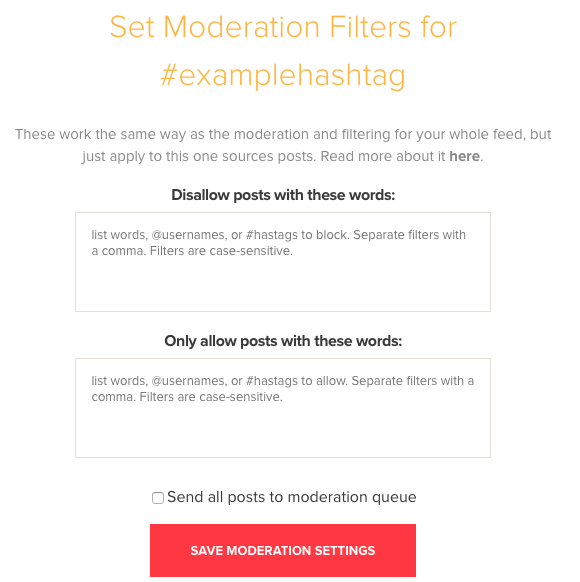 The “Prevent duplicate posts” filter will block posts that contain identical text and are from two different sources. Juicer can’t analyze images, so the post text must be identical to trigger this filter. It will remove the duplicate posts about once each hour, so not immediately. You can use several of the above features for specific sources only, rather than your entire Juicer feed. Just click the source in your "Social Media Sources" panel and select "Set moderation filters". By default, any filters you enable here will apply only to new posts going forward. 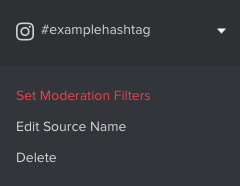 If you want to apply the change to all existing posts, go down to your main "Moderate and Filter" panel, click "Save your filters" and click "Yes, apply to existing posts".